Nursing home residents are entitled to receive care so their basic needs are met and they are also entitled to be treated with dignity and respect. Unfortunately, a ProPublica article published last December 2015 revealed that too often residents of nursing homes and assisted living facilities are not being treated with even a modicum of the respect that they deserve. The article revealed that staff members at many nursing homes and assisted living facilities were sharing photographs and videos of senior residents without their permission and in compromising positions. The photos, some of which included residents in partial stages of undress, were placed on Snapchat and on other social media websites for purposes of mocking the seniors. This type of abuse is unacceptable, as are all types of abuse of the elderly. When staff members engage in this behavior, the nursing home that employs them should be held accountable in a civil lawsuit. An Atlanta nursing home abuse lawyer can provide assistance to victims of elder abuse and their families in exploring all legal options for recovering monetary damages for inappropriate treatment of seniors in nursing facilities. Efforts also need to be made to prevent and punish this type of abusive behavior when it occurs. Multiple U.S. senators have now taken up the cause, as examples of abuse cases continue to mount. At the time of the December 2015 ProPublica article, more than 36 different incidents of staff members posting compromising pictures or videos of seniors had occurred since 2012, with at least 16 of the cases involving Snapchat. At least two additional incidents subsequently occurred following the December report. In response to the troubling article about the inappropriate behavior on the part of nursing home staff members, three U.S. senators have now initiated action. Senator Joe Donnelley requested that the Senate Aging Committee conduct an investigation; Senator Tom Carper spoke with federal privacy regulators to find out what efforts are being made to stop this type of inappropriate behavior from occurring; and Senator Chuck Grassley sent a letter to Attorney General Loretta Lynch asking what the U.S. Justice Department is doing to pursue cases against nursing homes when abuse happens. While criminal charges have been brought in many situations where abusive pictures of nursing home residents were posted online, it is usually state prosecutors and not federal ones who pursue action. According to ProPublica, Grassley released a statement with his letter sent to Lynch, saying: ""The posts are degrading and horrifying. The residents are frail and incapable of fighting back against the abusive treatment. Hopefully, with U.S. Senators taking up the cause, real steps can be made to stop the abusive and damaging practice of posting inappropriate pictures of seniors and nursing homes and staff members can be held accountable for this type of egregious behavior. 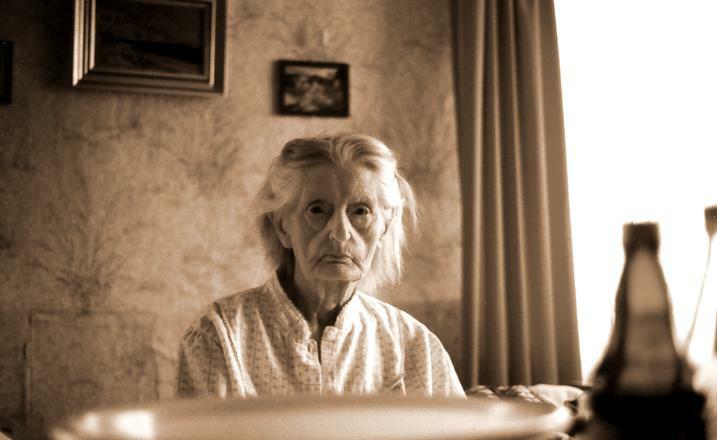 The Atlanta nursing home abuse lawyers at Van Sant Law, LLC can represent victims after an incident of elder abuse. Call today at 404-991-5950 or contact us online to schedule your free consultation.